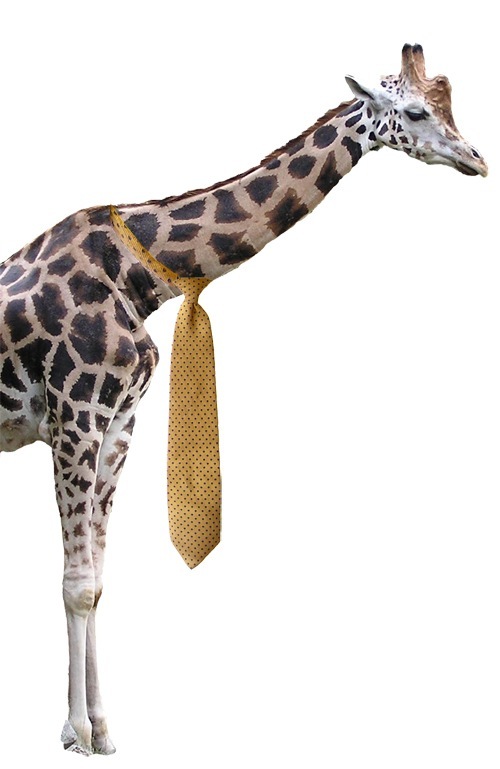 If I told you that you had to put this necktie on this giraffe, what would you do? 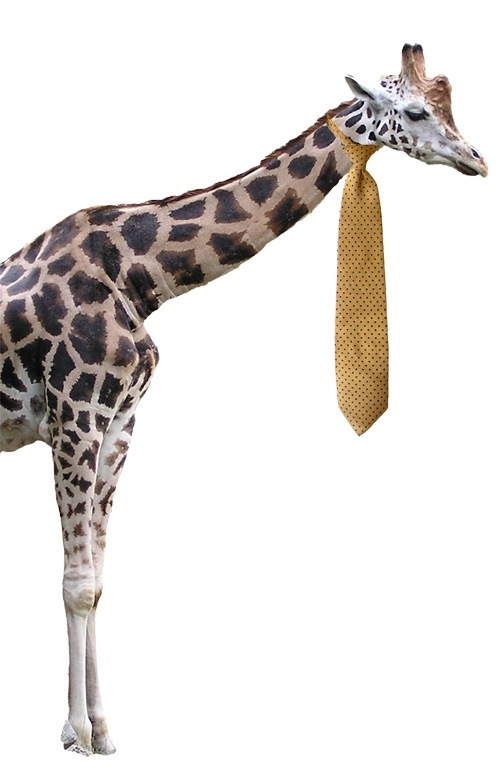 The way I see it, there are three logical positions for this tie to be placed on the giraffe’s neck: 1) at the bottom of the neck, near the body, 2) in the middle of the neck, or 3) at the top of the neck, near the head. 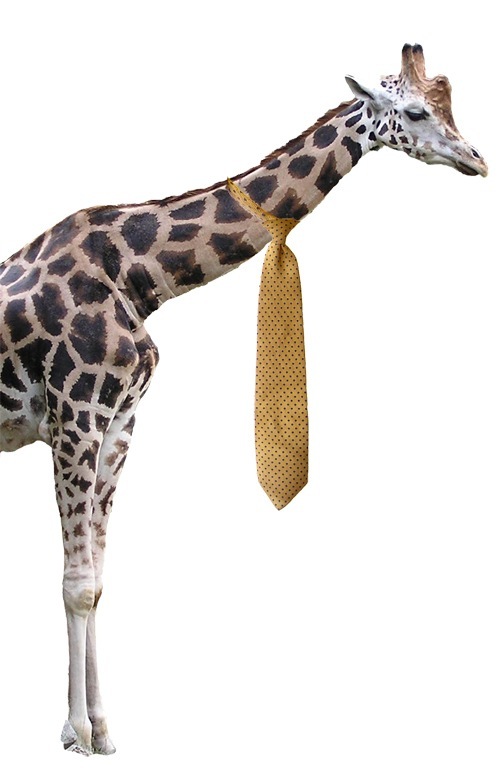 Personally, I think choice #3 makes our business giraffe look the most professional, although with choice #1, the tie is more likely to be out of the giraffe’s way, especially while it is bending down. 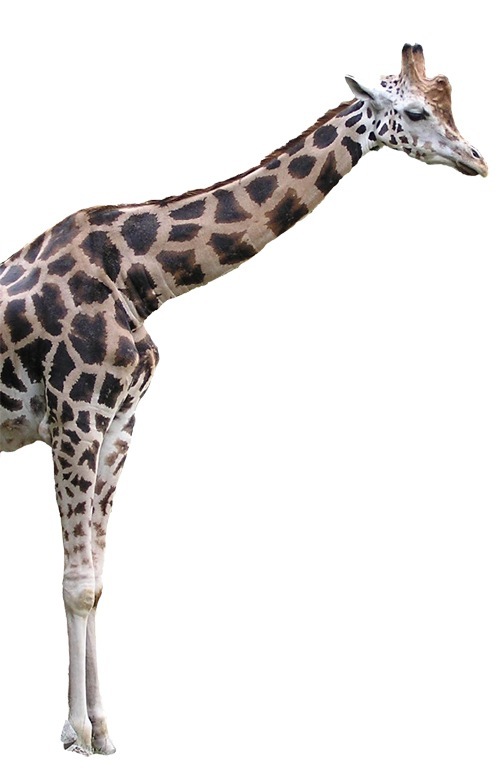 Perhaps choice #2 is a good compromise, though — it’s less stuffy than #3, and although not as convenient for the giraffe’s bending tasks as #1, it doesn’t look like it will interfere too much. Here are my depictions of each of these choices for visual comparison. So, in this hypothetical situation, what would you do? Why? Perhaps I’ll share my own thoughts about this in another post someday. I have finally updated my OPML file, which is always linked from the sidebar of the site. If you have any suggestions for other blogs I might be interested in, please let me know. Well, here it is, 9:15 PM on April 14, and I’m just getting started on my 2007 tax return. I have already installed TaxCut Pro and found all the tax documents that Kelly had set aside for me so that I would do this a couple months ago — as if that’s some big redemptive accomplishment. Life just gets in the way too often. I need to find a way to change that. Maybe next month? Update: It’s 11:45 PM and I’m done other than confirming some numbers tomorrow. Two and-a-half hours is record time for Isaacs family tax return prep. I’m just hoping I didn’t miss something important. Deeper in .NET 2008 — Today! If you’re in the Milwaukee area and have nothing to do today (4/5/08), why not come to Deeper in .NET? It starts at 8AM and will go until right around 6PM. We have 5 great speakers on the agenda so come on by and see what’s going on. A friend of mine is going to school in an "MBA for professionals" program. I’m not sure if it’s public knowledge or not, so no identifying links here. Anyway, in an e-mail today, he mentioned that he has class tomorrow, and that got me thinking. Every few months for most of the past decade the thought crosses my mind that I should look into doing the same thing. So far I haven’t done anything about it for a number of reasons, mostly falling into either the money category or the time category, some into both. But I’m still interested in doing it someday — at least I haven’t ruled it out. So, here’s the question. Is it worth it? If you’ve done it, are doing it, are thinking about it, or decided against it, I’d be interested to hear why. Also, if you are a person that does hiring, I’d like to hear what you think. Would you take an MBA over experience? Or is experience king? Realistically, it will be a year or two before I’m ready to go for it. So that gives me plenty of time to get tips from all sorts of people. If you have any thoughts, you can leave a comment or contact me.